Are you ready for the perfect kiss ... one that makes your heart race?! The fragrance is a weapon of mass seduction and a dangerous aphrodisiac. 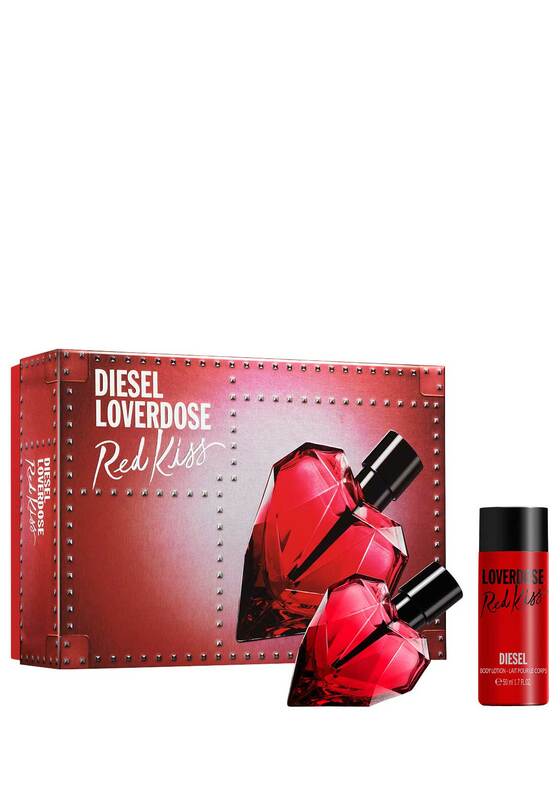 Loverdose Red Kiss is a mesmerizing floriental, gourmand fragrance: a vibrant contrast between a sensual orange blossom and an ambery addictive hazelnut. Delicious! This giftset makes a fantastic present for that special woman this Christmas!